Examining globalization in the Middle East, this book provides a much needed assessment of the impact of globalization in the ‘greater’ Middle East, including North Africa, in the context of the powerful geopolitical forces at work in shaping the region today. Written by a well-known authority in this area, this book demonstrates that, unlike in other regions, such as East Asia, geopolitics has been a critical factor in driving globalization in the Middle East. The author argues that whereas elsewhere globalisation has opened up the economy, society, culture and attitudes to the environment; in the Middle East it has had the opposite effect, with poor state formation, little interregional trade, foreign and interregional investment, and reassertion of traditional identities. 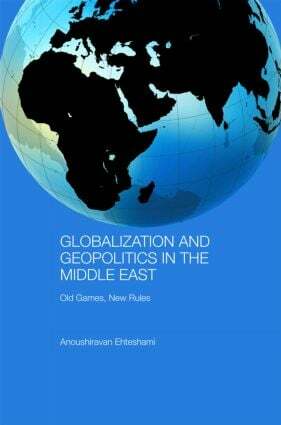 This book explores the impact of globalization on the polities, economies and social environment of the greater Middle East, in the context of the region’s position as the central site of global geopolitical competition at the start of the twenty-first century.